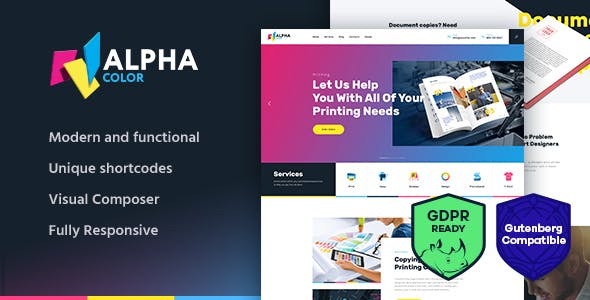 AlphaColor is a fresh, colorful & vibrant Type Design & Printing Services WordPress Theme with highly visual look and feel. It especially fits modern printing business organizations, print shop and corporate copying services company, type design companies, typographies agency, graphic design studio and individual designers bureau. If you use AlphaColor, you are able to sell online through your website shop / store, since the theme is fully compatible with the WooCommerce plugin. 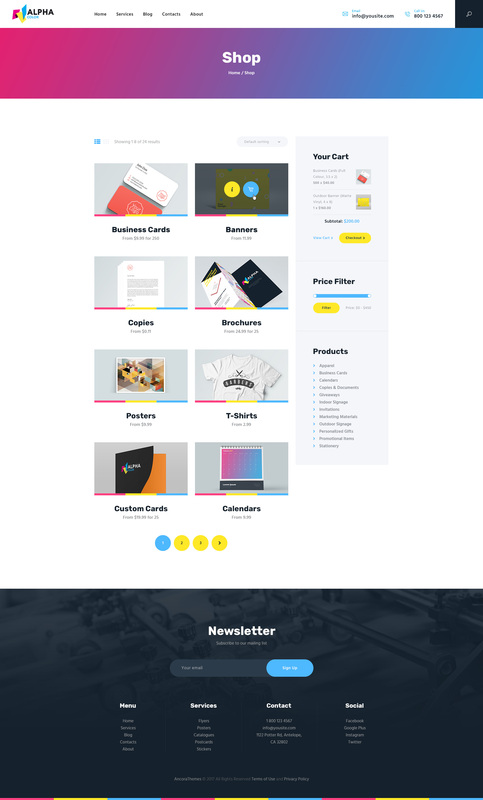 The theme uses lots of cool features to build an informative website. Also it features compatibility with world-famous plugins – WPBakery Page Builder, so that you could to craft your own layouts, blog or modify the existing ones. Revolution Slider, Essential Grid, WooCommerce and many more others to create a respectable online platform for your website.